Deliveries, launches and keel-layings all feature in what measures up to be a flurry of activity at superyacht yards at the end of 2018 and start of 2019. 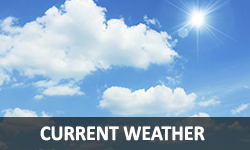 Projects in Brazil, Italy and particularly the Netherlands are all understood to be underway. MCP Yachts, a leading Brazilian superyacht builder, has delivered its 27.7m (91ft) MCP THD 925, which has been named Ragnar. This all-aluminium yacht sports a distinctive colour scheme and provides accommodation for up to 12 guests in six cabins and four crew. The cabin mix comprises a main deck master, two doubles and three twins, plus two crew cabins. The yacht has a top speed of 27kt. In respect to future models in this series, MCP will offer versions with four and five cabins. There are also different engine options, with the first model having twin Caterpillar diesels. Other features include a fold-down balcony and a built-in davit for manouevring the tender which is stored aft. In Italy, there is current news of superyachts in build at Benetti and Custom Line. 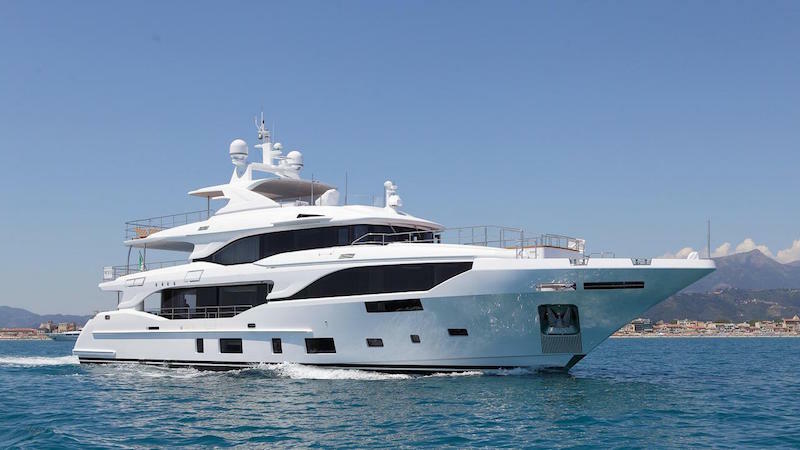 The fourth hull in Benetti’s Mediterraneo 116 series was launched at the builder’s Viareggio shipyard. The 35.5m (116.5ft) displacement yacht has been named Good Day. 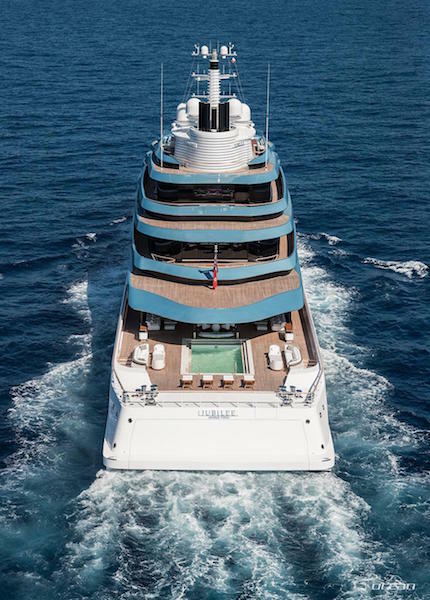 Originally sold in August 2017, the yacht features an exterior design by Giorgio M Cassetta. Good Day has a fibreglass hull and carbonfibre superstructure, with her Cassetta lines being described as “sinuous and slim”. Cassetta also handled the exterior design of the first three Mediterraneo 116 yachts. Accommodation is for a total of 10 guests in five cabins, including a full-beam owner’s suite on the main deck, which features a bathtub and shower bench at the specific request of the owner. The four guest cabins are on the lower deck, and three crew cabins provide for a crew of up to six. The main saloon features sofas and a dining area with a table capable of seating 12. A relaxation area, complete with swimming pool, sits at the bow of the upper deck. Good Day is powered by a pair of MAN V12-1400 engines, giving a top speed of 15kt and a 14kt cruising speed. 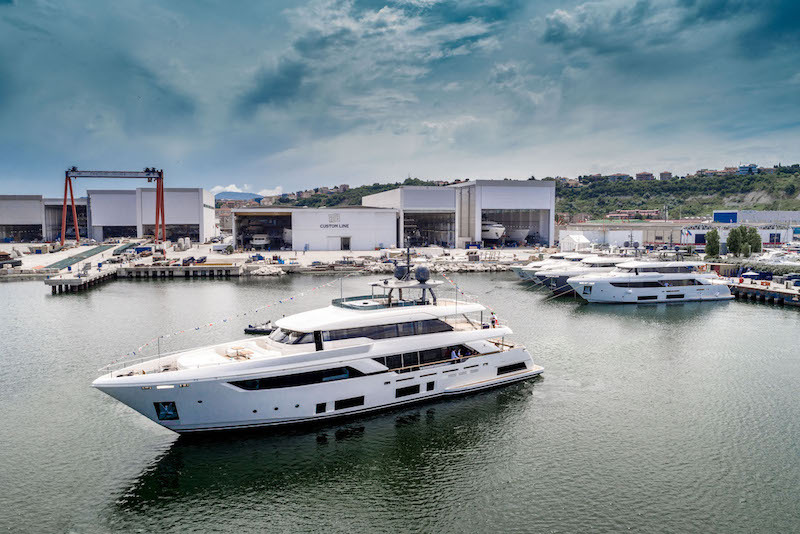 At Custom Line, two hulls in the company’s Navetta 33 and Navetta 37 semi-displacement series were launched in Ancona just before the close of 2018. Built for a Brazilian owner, the sixth Navetta 33 was named Maria Theresa while the Navetta 37 was christened Dilly Dally by its American owner. Zuccon International Project designed the exterior of both yachts working in collaboration between the in-house engineering department and product strategy committee, led by engineer Piero Ferrari. 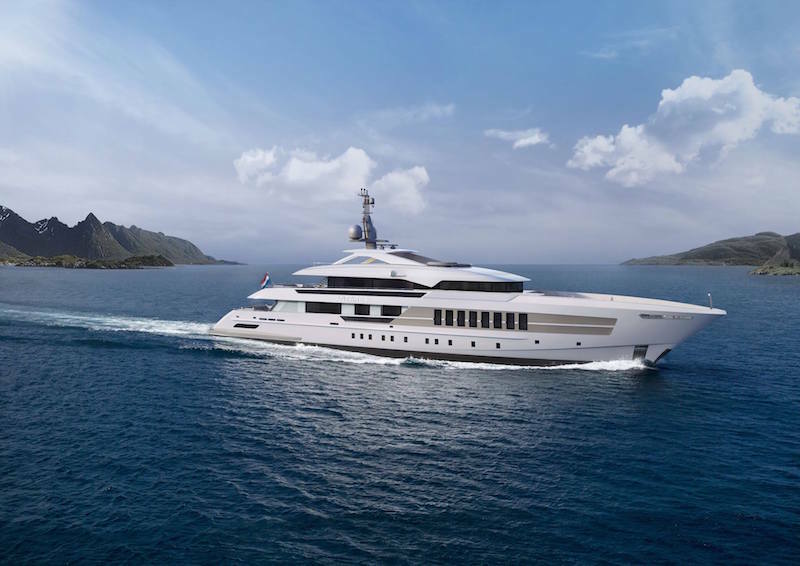 News updates on projects from the Netherlands comes from Feadship, Hakvoort, Heesen and Oceanco. The launch of the 58m (190ft) Najiba is the latest development at Feadship, which we have written all about its launch in this issue.Meaning ‘Noble’, Najiba was ordered by an experienced superyacht owner who is said to be fulfilling a long-held dream to commission a pure custom Feadship. In terms of design, Feadship says the yacht blends sleek and minimalist exterior lines with a detailed, high-end interior. To ensure they retained some of the European design influences they cherish, the owners partnered with Vitruvius Yachts and Philippe Briand as designers and naval architects, with Claudio Cicconetti being responsible for developing the general arrangement. 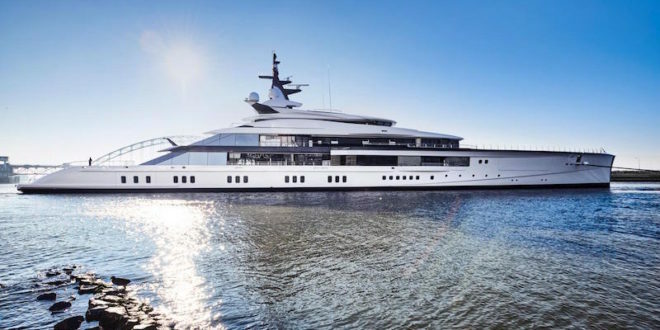 In an example of teamwork, they were joined by interior designer Guillaume Rolland of Studio Christian Liaigre, the owner’s project manager Peter Wilson from MCM, and Feadship’s builders and naval architects. At Hakvoort, the yard ended the year laying the keel of its 45m (147.8ft) Project Adur. The build of this aluminium superyacht is being managed by OCI, working in close association with the owners who are seeking high speed and long range features for the yacht. 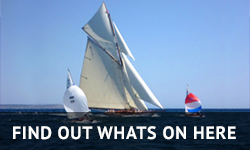 Sold last October, attendance at this ceremony included the owner and their representatives, Peter Hürzeler from OCI, plus Frank Laupman of Omega Architects and Gerko Schippers of Van Ossanen Naval Architects – the two design houses involved in the project. Hakvoort’s Klaas and Albert Hakvoort were also present. Said to have a sporty exterior design, Project Adur is due to be completed by the spring of 2021. 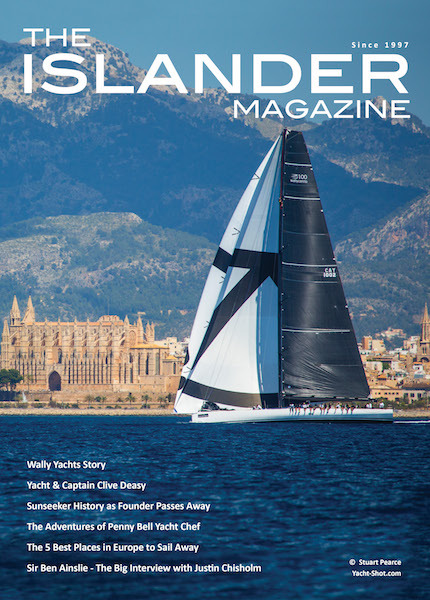 Omega Architects designed the exterior, while Van Oossanen Naval Architects designed the hull which will be fitted with a Hull Vane patented ‘spoiler’ for more efficient fuel consumption. 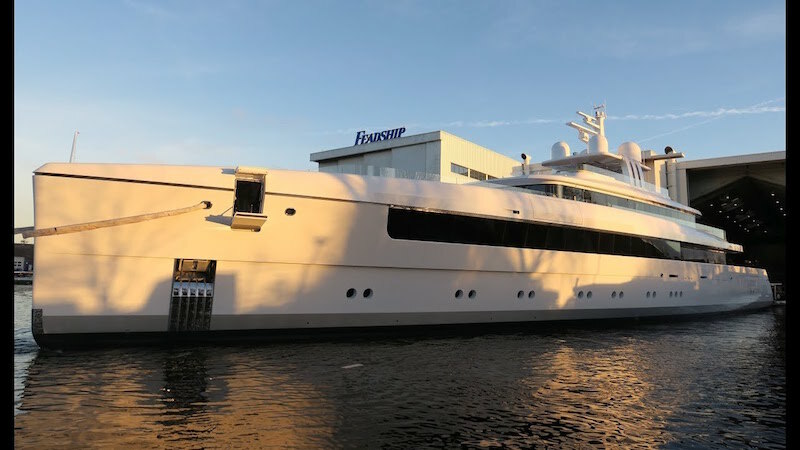 Heesen started 2019 with the launch, on January 4, of the 55m (180ft) Project Antares which is a Steel class featuring a FDHF (fast displacement hull form) hull. She is the first of five yachts scheduled for launch in 2019 and part of a fleet of 13 yachts currently under construction at Heesen’s shipyard in Oss. The active order book includes the yard’s largest project to date – the 80m Project Cosmos, which features an all-aluminium build to achieve a top speed close to 30kt. Heesen’s impressive build programme is indicative not only of the yard’s success in designs ranging from platform-based spec-build yachts to full custom projects, but also of the positive state of Heesen’s key market – aluminium and steel yachts from 40m-80m in length. “In 2018, the market in our core segments grew slightly, which is a good sign for us, and last year was a very good year,” comments Arthur Brouwer, CEO of Heesen. “We see a stable and slowly growing number of serious customers and our expectation for 2019 is that it will continue to grow. Big news from Oceanco comes in the form of the delivery of the 109m (358ft) Bravo Eugenia to her US owners. Built under a Project Bravo code, delivery took place just prior to Christmas for a cruise to Scandinavia. She is the second-largest superyacht built by Oceanco, following closely behind the 110m (361ft) Jubilee which was sold late last year and represents the biggest sale of 2018.